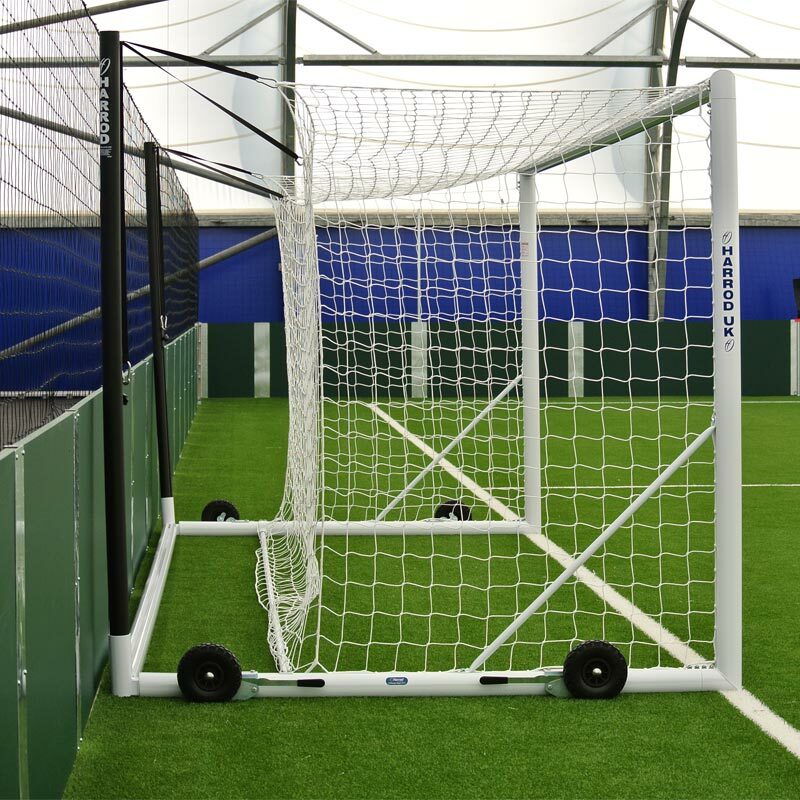 The Harrod Sport ® 3G Weighted Euro Portagoal 24ft x 8ft designed as the ultimate training ground portable goal, allowing clubs to mirror the Harrod Sport 3G Stadium Goal, but with a goal that can be transported utilising the Hi-Raise Wheels. 2 x Aluminium Goal Posts 24ft x 8ft. 4 x Net Support Brackets. 2 x Weighted Net Bars. 1 x Aluminium Goal Post 24ft x 8ft. 2 x Net Support Brackets. 1 x Weighted Net Bar. Uprights, Crossbars, Sidebars & Backbars made from 102mm x 112mm reinforced aluminium. Net support made from 80mm diameter reinforced aluminium. Zinc plated internal corner joints. Polyester powder coated white with black net supports. Aluminium profile Backbar with integral weight insert and ballast. 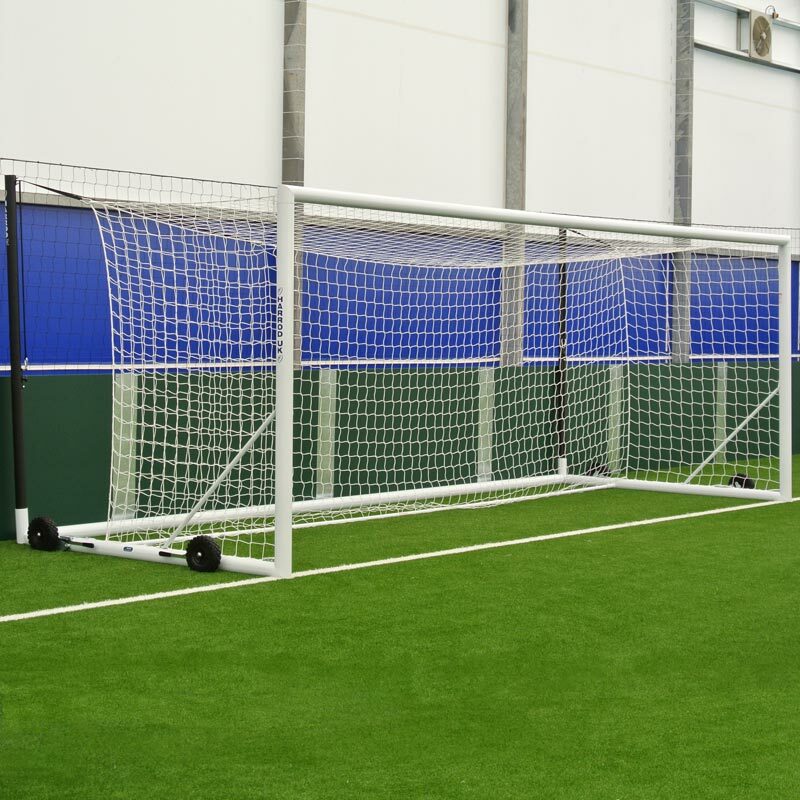 Integral net support posts for freehanging net to match Stadium Goal set up. 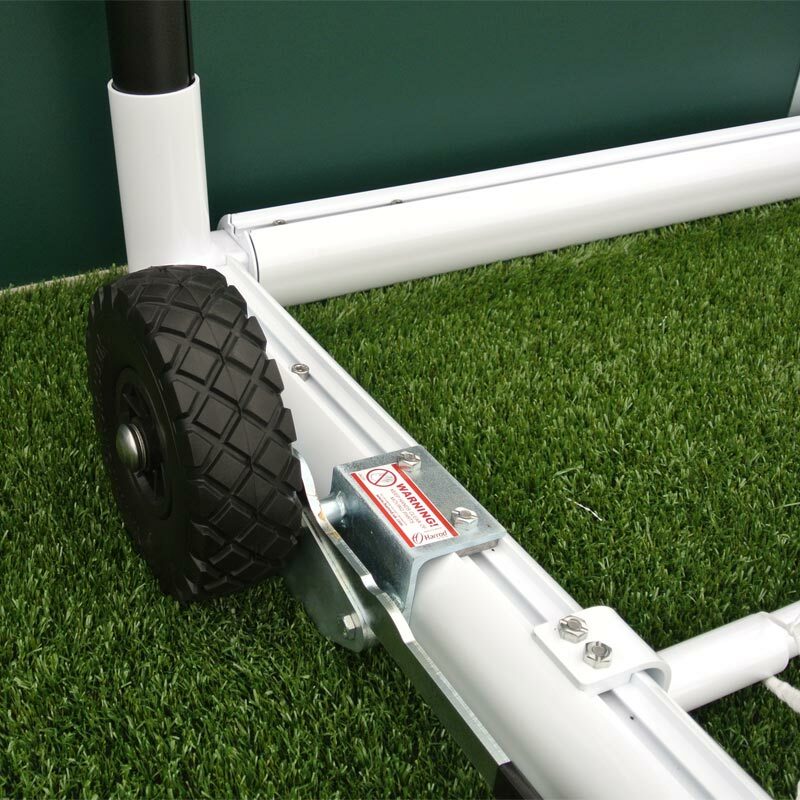 Hi-Raise wheels lift the goals up to 100mm above the surface allowing for manoeuvrability on both grass and synthetic surfaces. Fully welded corner joints provide superior strength and added safety.